I just had time to sit and read many of my blog comments - holy cow! 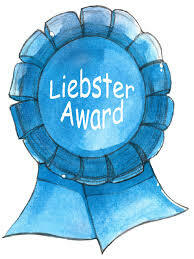 I got three Liebster awards last week! This is so exciting! I wish I had time to fill out all the questions that everyone put out there, but my 3 year won't have it, so I am going to pick and choose 5 from each blog that nominated me! 2. If and when you create things for your classroom, what program do you use? I use powerpoint. I used to think people were nuts, until I tried it! 3. What is your favorite color combination? 4. What is your most favorite subject to teach? I love teaching kids to read - just amazing watching them implement all those strategies while they read. Bonefish is my favorite chain, but Noku Sushi in NOVA is the best. I'd like to fly so I didn't have to sit in VA traffic. 7. How long have you been teaching? December will be 5 years. 8. Did you have another career before becoming a teacher or have you always been a teacher? I worked for Medco Health (Accredo) for 7 years taking care of very sick and dying patients. I was their advocate to help pay for their life sustaining medication. 9. Who is your favorite adult author? Children's book author? Cynthia Rylant hands down. I pretend to. I am a pacer once they start so I can't watch them in the theater. 11. What school supply can you just not live without? 1. What is your favorite part about the summer? Watching my son play in the pool. He gets so excited! 3. What is your favorite non-school related activity? two years ago, once I kept trying to show my husband all of my stuff I create. I could tell he wasn't so interested, and I figured someone had to be! 5. If you could live anywhere, where would you live? I used to say Florida because of the weather, but I am thinking some place that only is 75 degrees year round. I am hating the heat. 6. What is one thing you want to try with your students next year? Getting better at conferring meaningfully. 7. What is your favorite Pinterest-inspired meal/activity/etc. that you have made or want to make? I have 2000 plus pins, so I can't narrow it down, but I wish I could. I love all the ones that show how to create space savers in a small house. I would say that I love Teri from a cupcake for the teacher. She is so talented - I was one of her first followers, when she had 35! 9. If you weren't a teacher, what would you be? 10. What is one thing you are looking forward to next school year? 11. When was the last time you were on a plane and where did you go? 2007 - to Virginia for a conference. 1. What do you like to do when you're not at school? I love to eat ice cream with reese cups! We had a Rottweiler named Neeka, but she died from cancer April 1st. 5. If you weren't a teacher/employee of a school district, what would you be? 7. What inspired the theme of your blog? At the time, I didn't have a permanent grade level, and didn't want to chance creating a specific one and being moved and having to start all over. The Old Woman Who Names Things By Cynthia Rylant. 9. What is the best part of your job? The thank you's from parents at the end of the year. 10. What is your favorite grade to teach or age to work with? 6. I am a hoarder of books I never read. I think I just like looking at them. 8. I was in labor for over 36 hours. 9. I wanted my son's name to be Vance, not Reid. 1. What is your all time favorite song? 2. iPhone / Droid/ Galaxy? 3. Why did you name your blog what you did? 4. How often do you blog? 5. How many products do you have on your TPT page? 6. Do you designate time to blog or fit it in where you can? 7. How long do you have off for summer? 8. What teacher supply can you NOT live without? 11. If you have pets/children - how do you balance it all? What relaxes you? Ok now on to the fun part - my recipients. I sure hope so. I know it is a TON of writing, but it really allows us to get to know one another. Be sure to follow me, and stop by those friends I nominated. I can't live without coffee. I consider it the #1 teacher supply. :) I also love flair pens, sticky notes, and Mr. Sketch markers. I have 3 kids, a hubby, and a beagle named Bailey. It's a juggling act, but I enjoy the challenge. I love spending the day at the spa but that can be pricey, so usually I relax by reading or watching a good movie. Been browsing your blog a little and you have some super cute ideas!! Congratulations on your award!! Isn't it the best feeling? lol I LOVE following you on Instagram. Instagram has made me very lazy with blogging but I must get back in the habit. I'm your newest follower! !